This section of The Labrador Site contains lots of information about Labradors as a breed. What Do Labs Look Like? At one time, over fifty years ago now, there were Labradors capable of competing successfully both in the Show ring, and in Field Trials. Why not visit one of our other sections too? 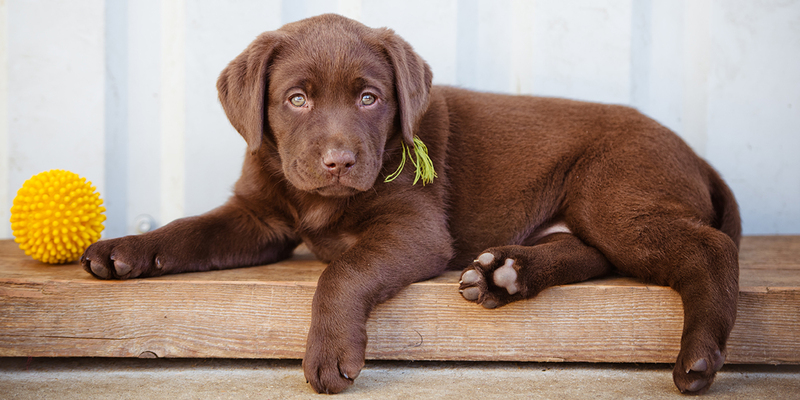 We have extensive information on Labrador Behaviour, Training, Health, and on raising and caring for Labrador Puppies. 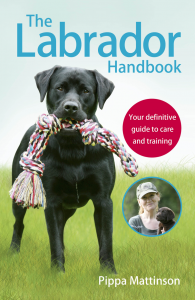 There is something for every Labrador owner in our complete online guide to your favourite dog. We hope you enjoy browsing and welcome your comments and suggestions. Is it safe for me to breed my 8 year old lab? She has never had a littler b4 and she is in great health. She is a silver/chocolate but I would like to get a yellow out of her. Any thoughts? Hi Jennifer, she’s a bit too old I’m afraid. In the UK you can’t register puppies from a female that is over 8 years old when her puppies are born. I have a beautiful black five year old Drakeshead male lab with full papers, i would like to breed him locally in the wrexham area. Where do i start? when my lab barks unnecessarily i tell him to stop immediately and when he does i praise him, this works for me as they are really intelligent and want to please you. Comment:Nice information. provided. It would have added more value if you would have provided details about looks of a pure breed, for the sake of identification. We have a black lab, sired by a KC registered field trials champion. How long would her pregnancy be? Nine weeks on average Tony. I have recently brought a black female lab pup. She is 3 months of old. But she bites anything and everything which she have in front of it. Is there any problem with her, if yes then what should I do. I am trying to breed my 7 year old yellow lab with another pure bred lab. Any suggestions on who and where to go to? I don’t have paperwork on his bloodline or anything like that and breeders won’t use him to breed with their own because he has no papers. Thanks. My name is Kris. I am from India. I have a 3 month old female Labrador. I noticed a change in her ears recently. When i got her home she had floppy ears but now she has Flying Nun Ears. Why is that ? Doesnt labrador’s have Floppy ears? Someone who owns a labrador told me that when a labrador has flying nun ears it is an indication that she has worms. Is that true? Will her ears become floppy again? Hi Ayushi, whereabouts are you located? What part of the world? You need to stop rewarding the barking. Don’t do anything your dog likes whilst he is barking. Wait for a little pause, then tell him good and give him a reward. I’m form Portugal andI’m looking for a breeder of Labs, need some help!!!!! First of all I would like to congratulate you on this wonderful site doling out good practical knowledge and information. My query is that I have a male and a female lab about 4.5 months of age and fully vaccinated. The problem lies when i take them out for a walk, that is when the female just sits down after a few minutes walk (say approx five minutes of walk) and thereafter she sits down and takes around a minute to start walking again. No matter what I do she does not budge for that one minute; no such problems with the male lab though. Please resolve this as it breaks the fun of the walk for me and the male lab. If she is reluctant to exercise at home, you need to get her checked by a vet. If it is just outside on the lead then You need to encourage your puppy with treats. Try taking her out on her own until she gets used to walking on the lead. And don’t forget that a four month old puppy needs very little in the way of walking. Puppies should not be sold until they are about eight weeks old. Here is an article on this topic. My 7 months old, chocolate lab doesn’t bark too. But he never let any stranger near me. Every evening we both go for the walk. If someone is walking behind or coming from front. my lab show his teeth to them. Even inside of my room if a family member or a relative come to visit he never let anyone near me. even he did not allow them to shake hands with me. This habit is bit strange isn’t it ? I had a black Labrador too long time ago from Sandringham kennels but he was quite a calm dog never got aggressive. Don’t know whats wrong with my chocolate labrador.